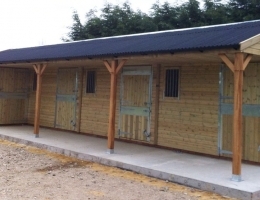 Your timber stable is important for the care of your horse. As horse owners ourselves, we fully appreciate the needs of caring owners. 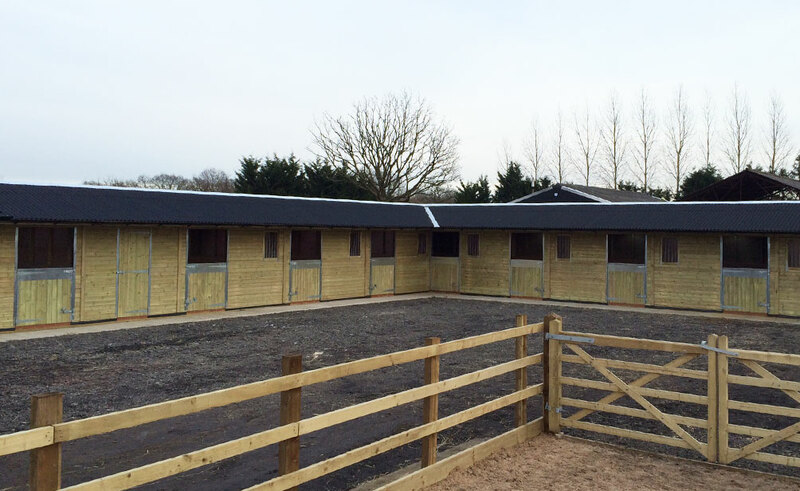 Our stables are designed to the highest standards with your horse’s well-being at heart. 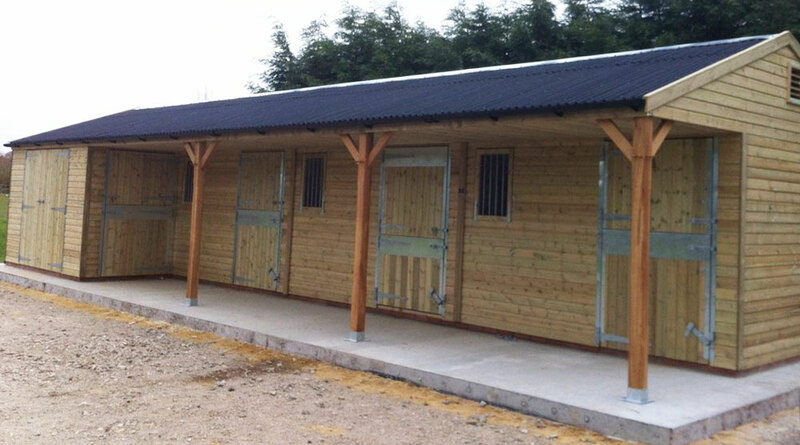 Your stables can be built to any size and combination of straight, L-shaped and U-shaped stable blocks. 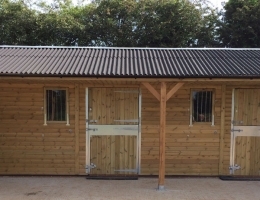 With the ability to add tack rooms, hay stores, looseboxes, car ports and offices, your stables will be designed to meet your exact requirements. We will provide you with detailed floor plans to allow your builders to lay the correct concrete base and our expert team will advise on the depth of the concrete and overall recommended dimensions. 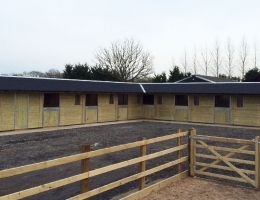 To ensure the longevity of your new timber stables and that the build is square, a single course of semi engineering bricks should be laid to the specification provided on the floor plan. By building the stable on this single course of bricks the timber frame of the stable is kept out of any standing water. Should you prefer, instead of a single brick course, we can build the stable on a galvanised steel base. 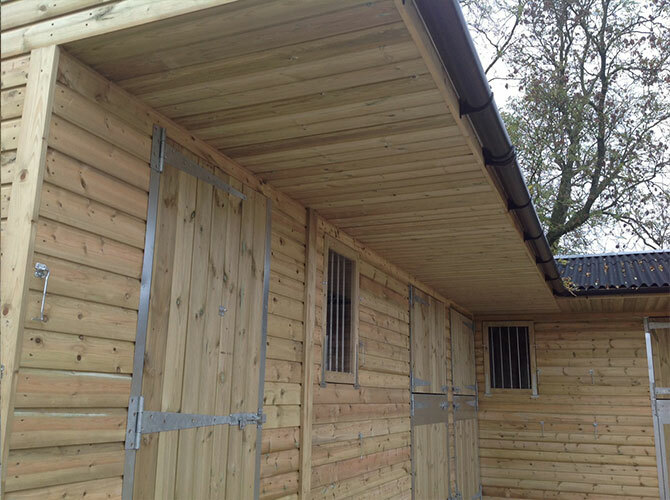 We understand the best treatments and where to source the best quality timber from. All our timber is pressure treated with Tanalith E BS EN 335-1 and come from FSC approved forests. 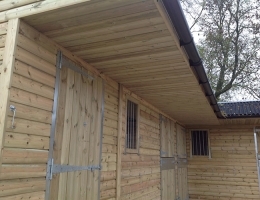 One of the best types of roofing for stables is Onduline which is available in brown, green, red or black to suit your requirements. 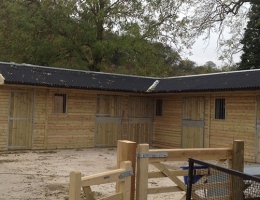 The roofs on the stables we build are lined with OSB. This is especially important as it helps prevent sagging and adds real strength to the structure. 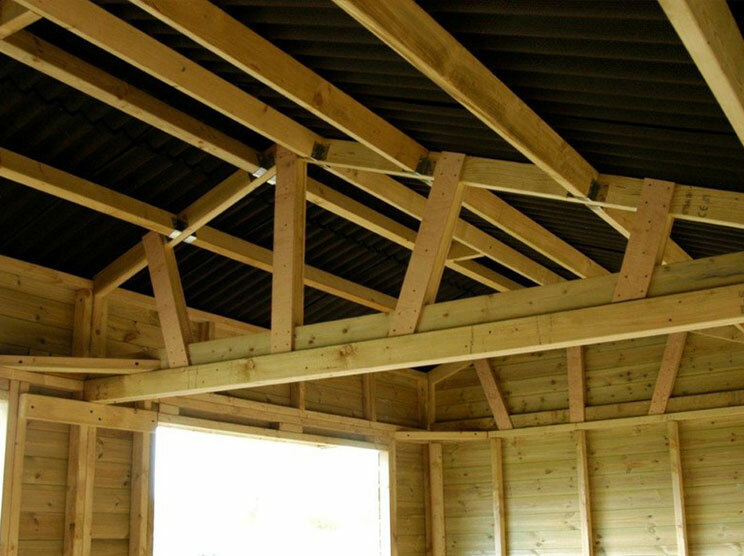 Whatever you’d like on your timber stable roof, as long as it’s structurally sound, we can supply and fit it. 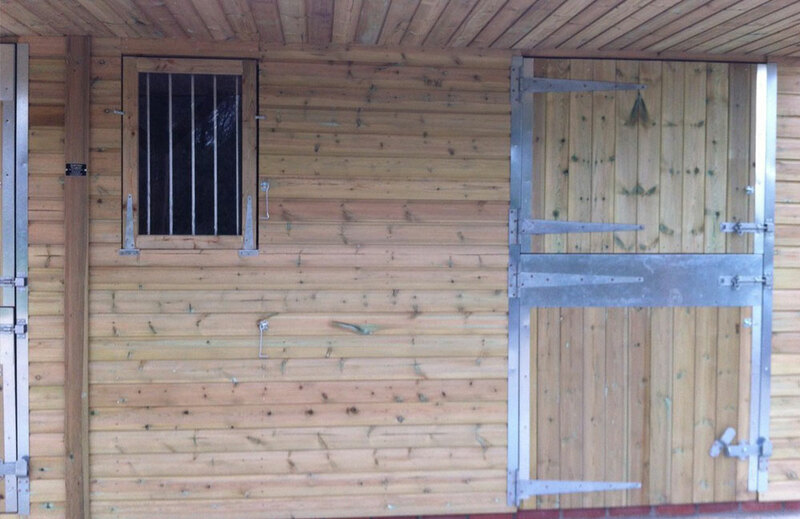 It is advised to have guttering fitted to your stable and we will provide options to suit your needs. To ensure the well-being of your horse, good ventilation is recommended in your stable. 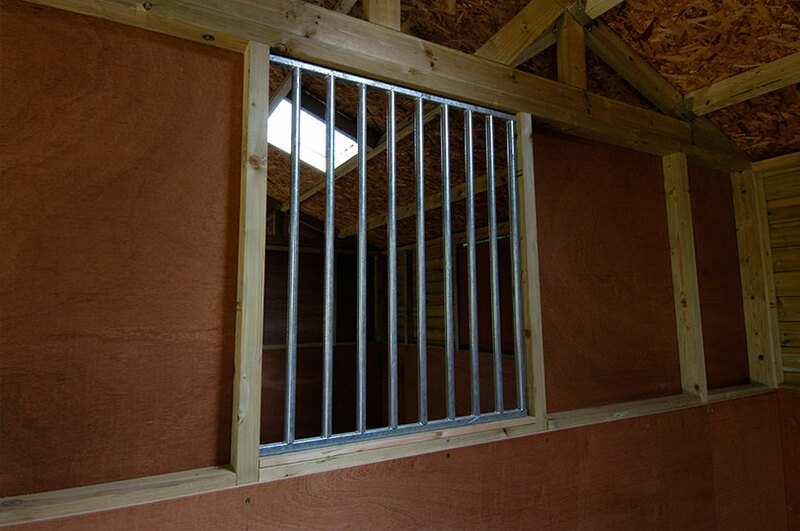 To allow for this we can supply and fit louvered windows, mesh windows, vents and rear top doors. When it comes to doors we will help you decide what works best for you. Once the decision is made we will meet your requirements. 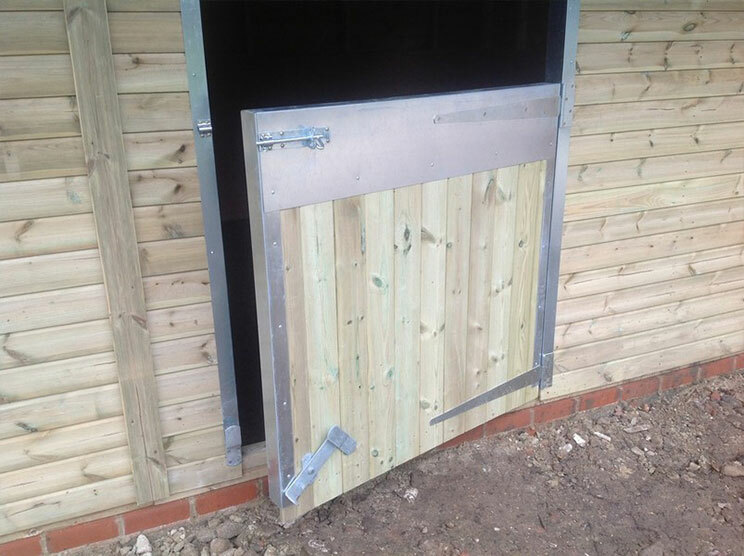 The fittings will be galvanised and fitted with chew strips on the top of all doors as standard. 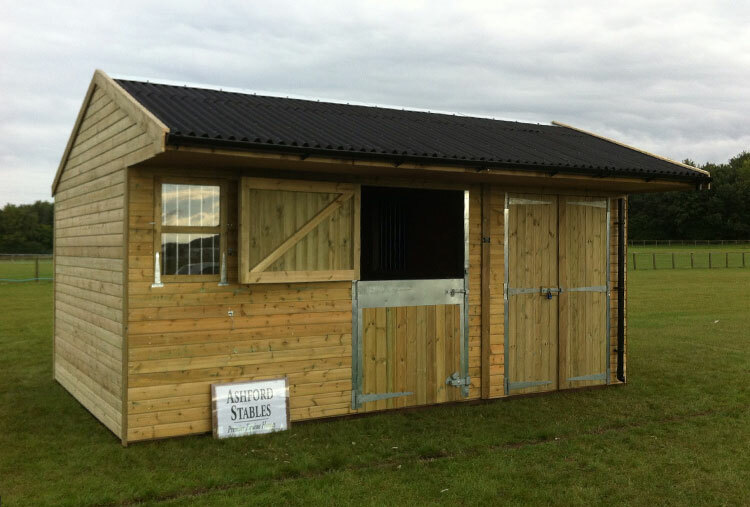 To help with natural light in your stable you can have clear roof sheets fitted which will allow sun light in. 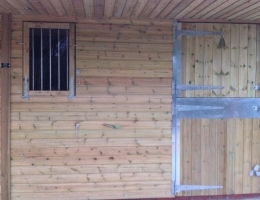 A mentioned above, the build of your timber stable by Ashford Stables will be completed to meet your exact requirements. As part of the design process we will discuss with you what you need and advise on various options to ensure you get the stable you want for your horse. 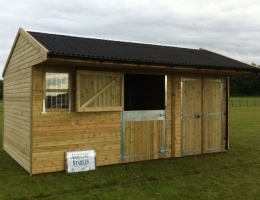 All stables from Ashford Stables come with our high quality full installation service for customers throughout the UK. 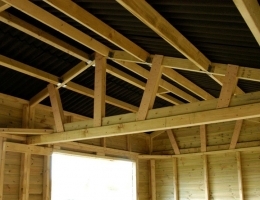 It’s recommended you review the specification of any other quotes you may have received for a timber stable and compare it carefully with any we provide. We always maintain the highest standards with all builds and give great value for money for the quality of our build for you. 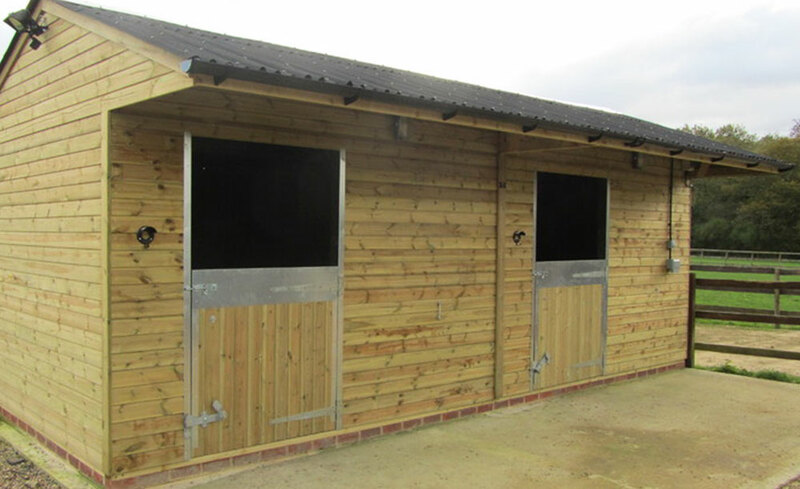 Please take a look at the gallery below to view a small selection of the high quality timber stables we have built for our customers. 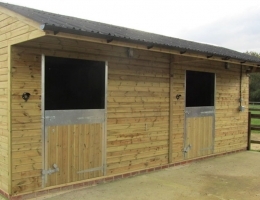 If you are looking for one of the best timber stables for your horse(s) at a great price then please get in touch with our team – All quotes are free and without obligation. 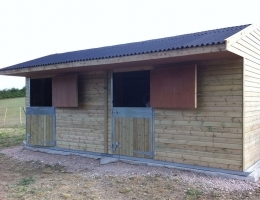 Ashford Stables is a family run business based on the Hampshire Berkshire border. 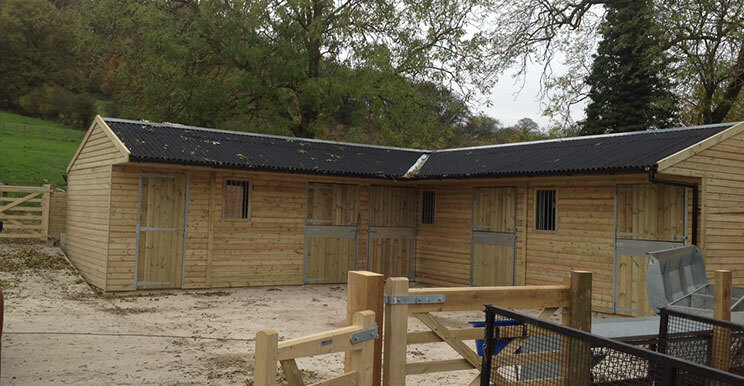 We focus on creating high quality timber buildings to meet the specific needs of our clients. ©2019 Ashford Stables. All Rights Reserved. Website Design by Futuresys.